Do you ever feel like work is taking over your life? Burnout is generally characterized as a state of mental and physical exhaustion resulting in low productivity and de-personalization and is most likely caused by prolonged stress that does not dissipate. 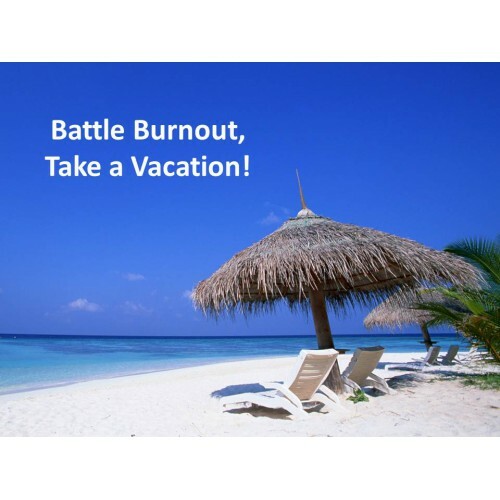 There are many different aspects that affect both the building and dissipation of burnout. This model focuses on workloads and vacations to see how they contribute to both your level of burnout and productivity. Use this model to ask questions about your workload and any benefits you would receive from taking a vacation. What happens when you suddenly have a bigger workload? What happens when work piles up? Does vacation increase or decrease your stress levels?